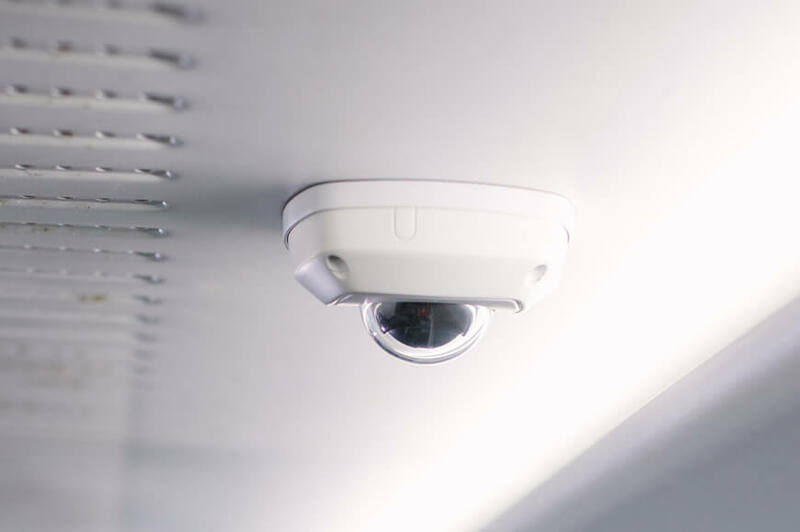 The trains used are air-conditioned electric multiple units. 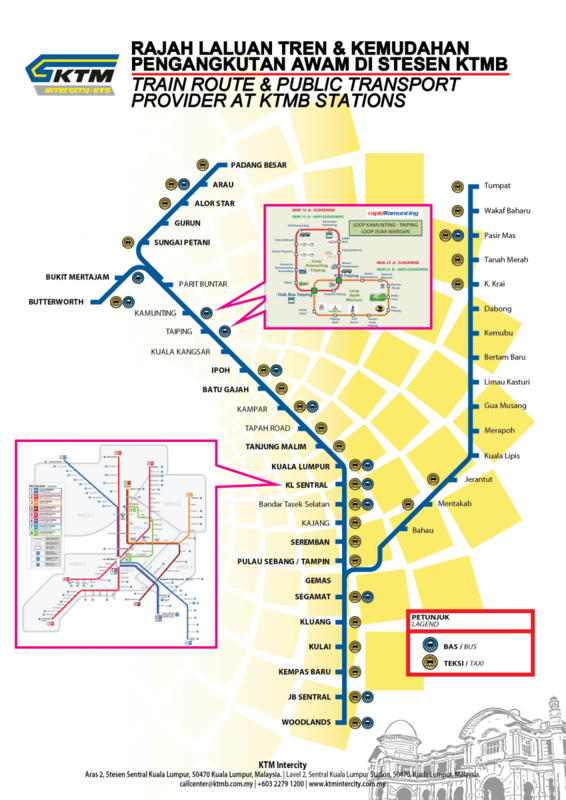 Convenient 'Park & Ride' facilities are provided at stations at a nominal charge. 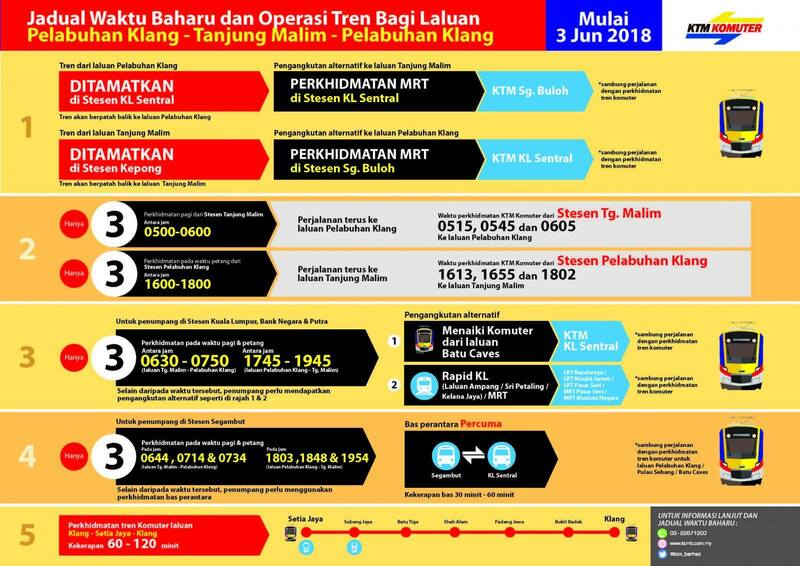 Komuter’s top speed is at 175 km (109 mi), route connected to 45 stations. 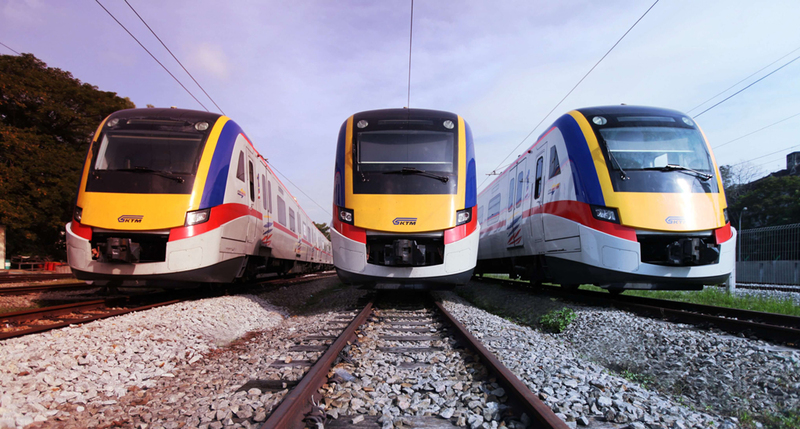 It consists of two lines, namely the Sentul-Port Klang and Rawang-Seremban lines, as well as a shuttle service from Rawang to Rasa. 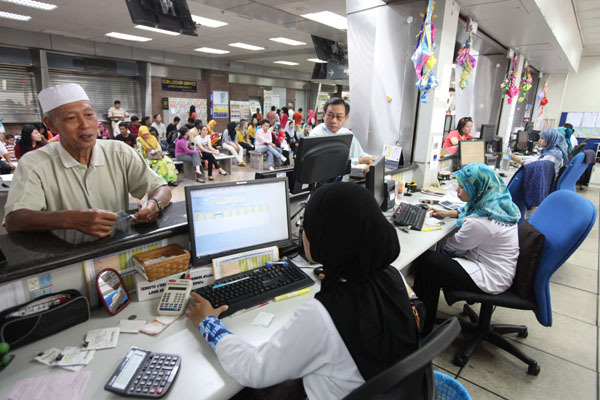 Transfers between the two lines can be done at KL Sentral, Kuala Lumpur and Putra stations. 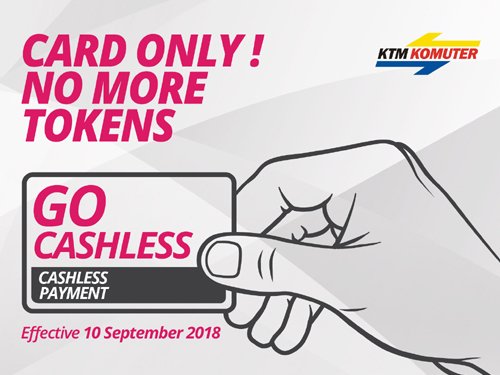 KTM Komuter has made shopping complexes and recreational centres more accessible. Ride n’ ride (bicycle train). 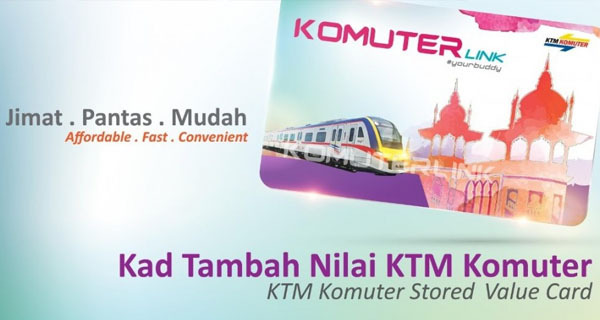 In recognizing the cycling trend among Malaysians, KTM Komuter launched Ride n’ Ride on 1 June 2016. Ride n’ Ride will enable cyclists to carry their bicycles on board the trains and then reach their own workplace, college, schools, universities etc. 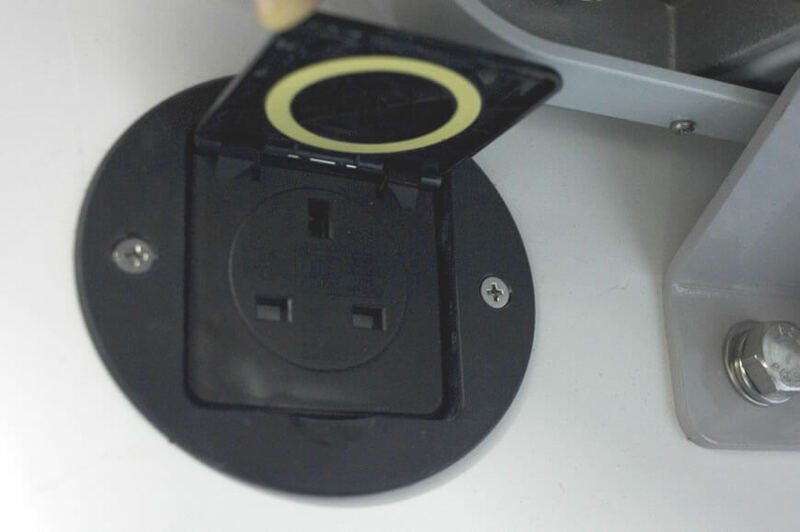 The product has received significant public attention and many events with cyclists associations are in the pipeline. Effective and efficient public transportation services are crucial to attract more people to use it. 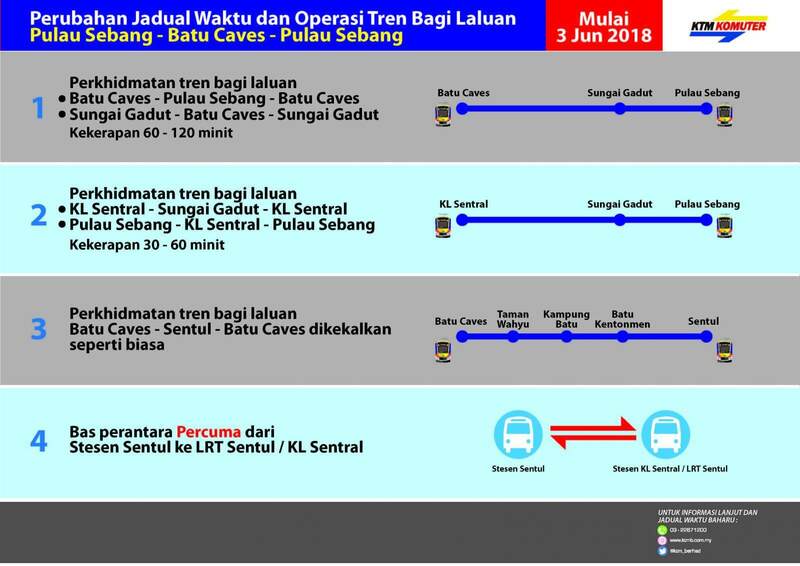 An efficient schedule time for the KTM Komuter will assist in reducing traffic congestion. 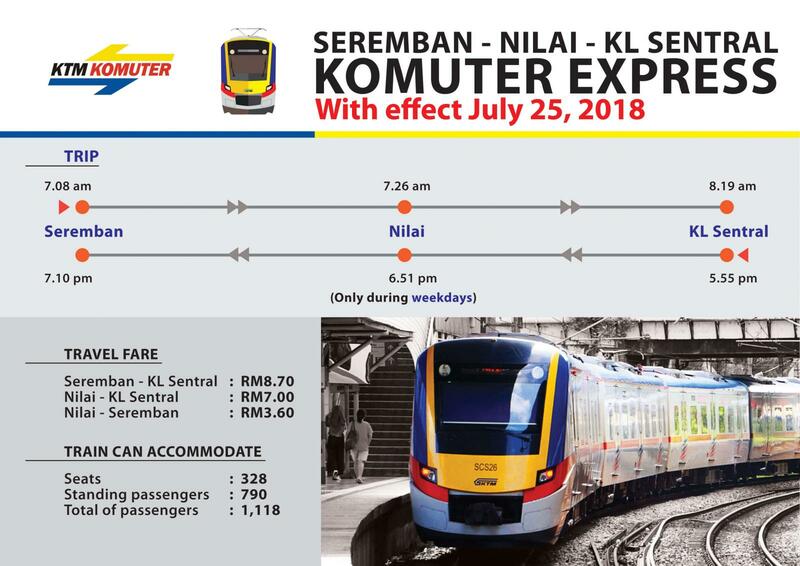 A new timetable for Komuter Malaysia is currently available. 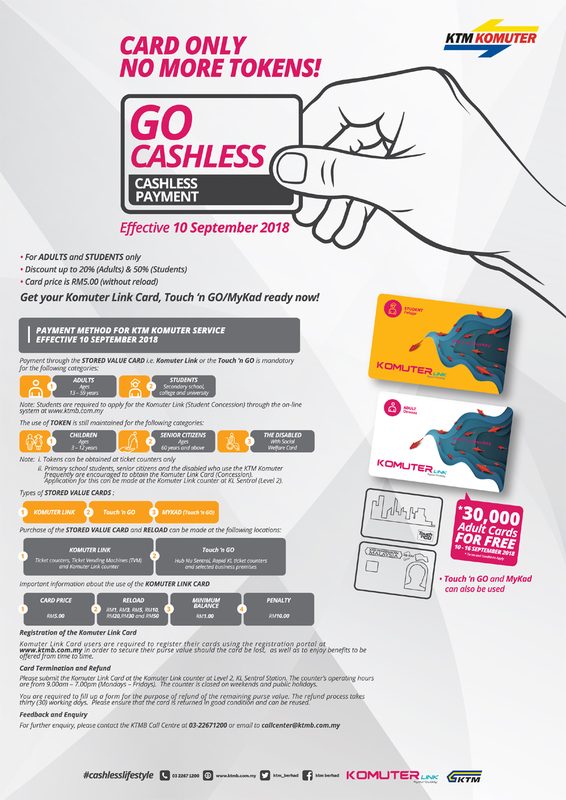 Please click on the document below to get more information about the latest available KTM Komuter timetable and fares. 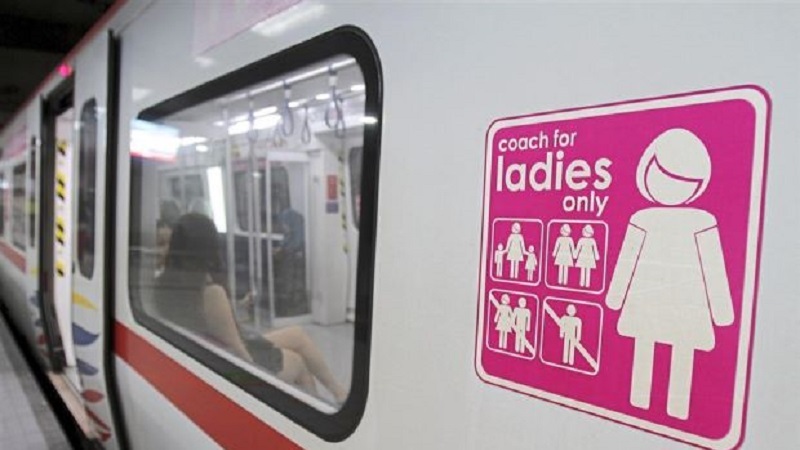 The Ladies Coach is a coach specially reserved for lady passengers as an option when using the KTM Komuter Service. 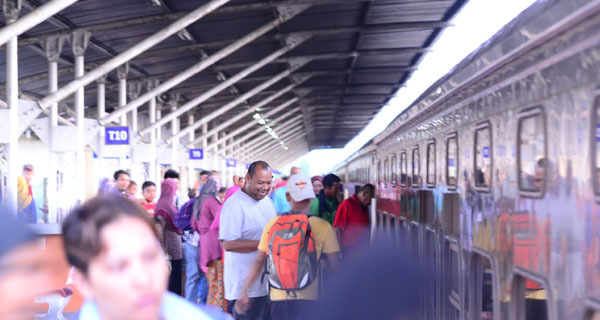 The Ladies Coach was first implemented in KTMB on 28 April 2010 after considering that women comprise 60% of total KTM Komuter ridership. 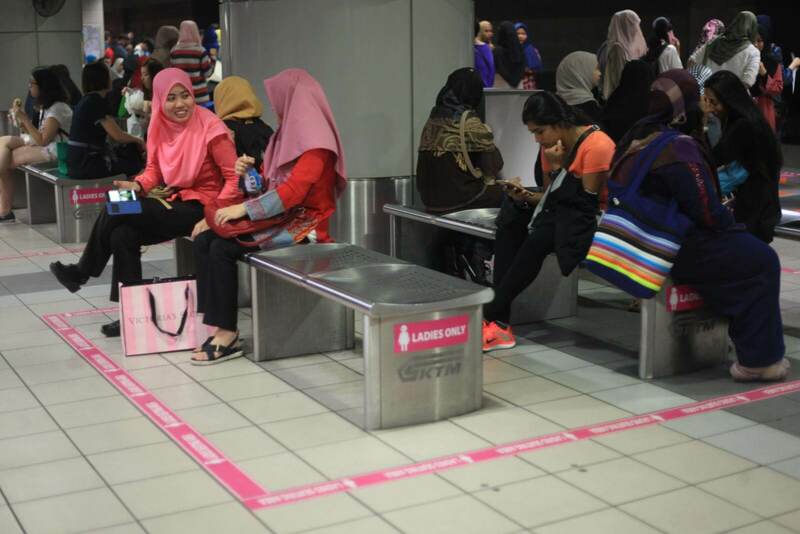 Designed for the comfort and safety of Lady Passengers,the designated ladies seating area is available at theKTM Komuter KL Sentral at Platforms 3 & 4 and 5 &6.Labeled “Ladies Only”, the area is cordoned off using the iconic pink stickers. Meeting friends, family members, and guests is made simple in busy areas such as hubs, i.e. KL Sentral station, Bandar Tasik Selatan (BTS) station and Kuala Lumpur station through the friendly “Meeting Point”. 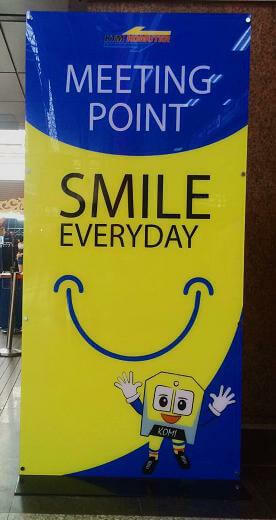 The attractive blue and yellow structure with a smiley is to become the talk when arranging to meet in these places. 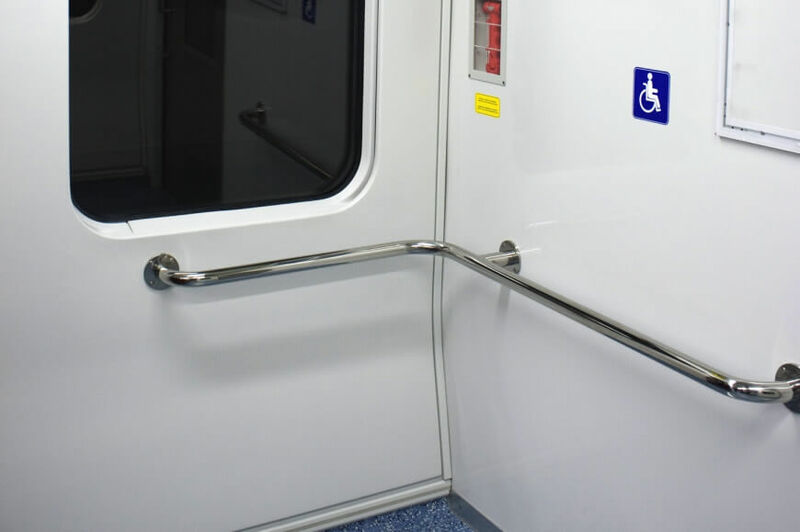 We also provide the above trends with infrastructure designed for disabled people, we also have special priority seating is available for the elderly and disabled. Accolades received for the implementation of the Ladies Coach. Special Recognition from Kementerian Women, Family & Community Development in conjunction with “Say No –Unite To End Violence Against Women” 2010.